Adapted from How to Talk to Anyone by Leil Lowndes. Someday, scientists say, communications fears may be treatable with drugs. Theyre already experimenting with Prozac to change peoples personalities. But some fear disastrous side effects. The good news is that when human beings think, and genuinely feel, certain emotionslike confidence that they have specific techniques to fall back onthe brain manufactures its own antidotes. If fear and distaste of small talk is the disease, knowing solid techniques like the ones we explore in this section is the cure. Incidentally, science is beginning to recognize its not chance or even upbringing that one person has a belly of butterflies and another doesnt. In our brains, neurons communicate through chemicals called neurotransmitters. Some people have excessive levels of a neurotransmitter called norepinephrine, a chemical cousin of adrenaline. For some children, just walking into a kindergarten room makes them want to run and hide under a table. As a tot, I spent a lot of time under the table. As a preteen in an all-girls boarding school, my legs turned to linguine every time I had to converse with a male. In eighth grade, I once had to invite a boy to our school prom. The entire selection of dancing males lived in the dormitory of our brother school. And I only knew one resident, Eugene. I had met Eugene at summer camp the year before. Mustering all my courage, I decided to call him. Two weeks before the dance, I felt the onset of sweaty palms. I put the call off. One week before, rapid heartbeat set in. I put the call off. Finally, three days before the big bash, breathing became difficult. Time was running out. To my relief and delight, I heard a big, cheerful Oh thats great, Id love to! I exhaled my first normal breath all day. He continued, Ill pick you up at the girls dorm at 7:30. Ill have a pink carnation for you. Will that go with your dress? And my name is Donnie. Donnie? Donnie! Who said anything about Donnie? Well, Donnie turned out to be the best date I had that decade. Donnie had buckteeth, a head full of tousled red hair, and communications skills that immediately put me at ease. On Saturday night, Donnie greeted me at the door, carnation in hand and grin on face. He joked self-deprecatingly about how he was dying to go to the prom so, knowing it was a case of mistaken identity, he accepted anyway. He told me he was thrilled when the girl with the lovely voice called, and he took full responsibility for tricking me into an invitation. Donnie made me comfortable and confident as we chatted. First we made small talk and then he gradually led me into subjects I was interested in. I flipped over Donnie, and he became my very first boyfriend. Donnie instinctively had skills that can help you you glide through small talk like a hot knife through butter. When you master them, you will be ablelike Donnieto melt the heart of everyone you touch. The goal of How to Talk to Anyone is not, of course, to make you a small-talk whiz and stop there. The aim is to make you a dynamic conversationalist and forceful communicator. However, small talk is the first crucial step toward that goal. 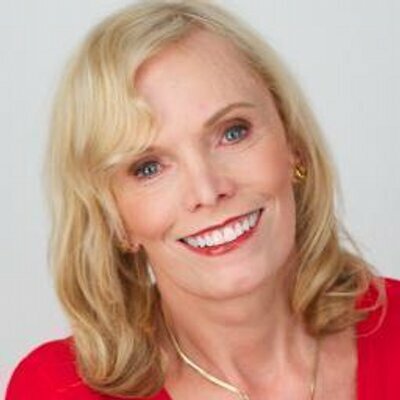 Leil Lowndes is among today’s most sought-after communication consultants and the author of the international bestsellers How to Make Anyone Fall in Love with You and How to Be a People Magnet. Will You Have Enough Leads to Meet Your Quota This Month? 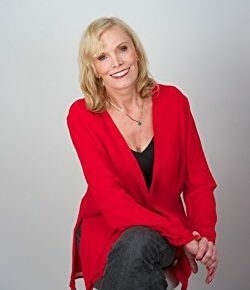 Leil Lowndes is the author of ten books on communication skills including the best-selling How to Talk to Anyone: 92 Little Tricks for Big Success in Relationships. 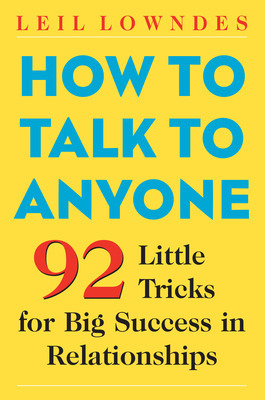 Her latest book How to Talk to Anyone at Work: 72 Little Tricks for Big Success Communicating on the Job gives dozens of specific techniques to deal with contemptible bosses and crazy colleagues.